Followit are experts in GPS collars for animals living in tough environments. For decades we have delivered collars to thousands of customers for animals in the Arctic environment, tropical jungles, deserts, forests and savannas. We know what it takes and use all our experience to provide the best possible products for the requirements that the environment, animal and customer demands. 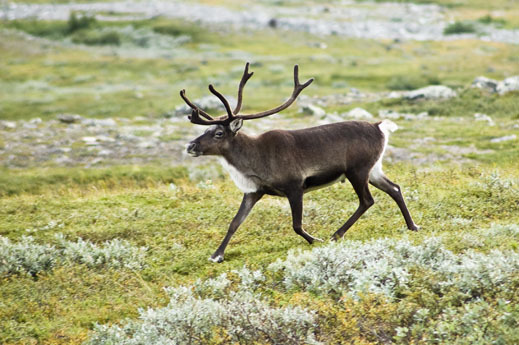 For reindeer, we have delivered collars for around 50 customers in Scandinavia and North America. Our collars are produced according to the standard that applies in the Nordic region for exporting data to Renbruksplanen. We have several different collars to choose from depending on the requirements for functionality, battery life, weight and price. All collars are of high quality, comfortable, durable and has support for graphical presentation via computer, smartphones and tablets. 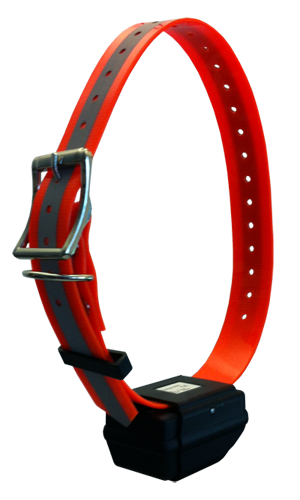 Pellego weighs only 175 grams, but is a durable collar with high capacity despite its low weight. 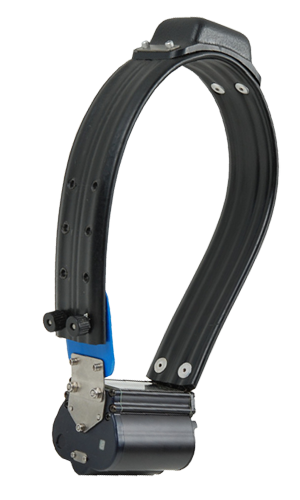 The unit has a seamless casing with integrated antennas which offers good protection in tough environments. The collar is adjustable for good fit regardless of neck dimensions. GPS positions are sent over the GSM network using GPRS. This means you do not need to invest in expensive base stations. The collar can store up to 40,000 positions. If the reindeer moves outside GSM coverage, positions are stored and sent as soon as the device regains contact with the network. This allows you to acquire positions, even in areas with poor GSM coverage. Pellego uses inductive charging, ie the battery is charged wirelessly via the included charge station. Battery capacity depends on positioning schedule, temperature and GSM coverage. You can always check the current battery status from your smartphone, tablet or computer. Using Followit GEO™, you can follow the animals, set virtual fences with alerts, change the positioning schedule, export date and much more. Pellego is equipped with two-way communication, meaning that the positioning schedule can be changed after the collar is fitted on the reindeer. - User defined schedule with 30 min resolution. - RX-Pro receiver for radio tracking. Tellus Reindeer is a very durable collar with powerful battery. This is a simplified version of the collars Followit manufactures for wildlife research. Tellus Reindeer is available in the sizes 600 g and 800 g, depending on the selected battery. Like Pellego the unit stores GPS positions, and if the animal temporarily moves out of GSM coverage, position data is sent as soon as coverage is regained. Tellus Reindeer can store up to 80,000 positions. Besides position data the collar also stores time, altitude, temperature, activity, and mortality. Using Followit GEO™, you can follow the animals, set virtual fences with alerts, export data and much more. The battery capacity of Tellus Reindeer varies depending on temperature, GSM coverage, etc. An estimation is about 1½ years at 12 positions per day. - Receiver for radio tracking. Tellus Reindeer Iridium has the same functionallity as Tellus Reindeer, but is completely independent of GSM coverage. Positions and other data is instead sent using Iridium satellites. These collars are used when animals mostly remain outside GSM coverage. Followit is one of the leading manufacturers of satellite collars and a large percentage of our collars for wildlife research are Iridium based. With all Followit GPS collars, you can follow the animals using Followit GEO™, either by smarthphone, tablet or from your computer. All position- and historical data is accessible using this interface. Historical data can be exported either individually for a unit or for a group of units. Our ambition is that good service and support shall be a identifying attribtute of Followit. Our staff has extensive experience in GPS collars in different environments and are doing their utmost to help you as a customer. You are always welcome to contact us regarding any questions, support, feedback or suggestions. Battery replacement for Tellus collars and other service requests are performed at our facility in Lindesberg. All Followit GPS collar comes with 1 year warranty on manufacturing defects. 1 2 pos / day (depending on settings and environment). 2 12 pos / day (depending on settings and environment).